SignLink software is a dictionary that works in two directions. If you know the meaning of the sign you are looking for, you just need to type in a word and you will get all matching entries. If you want to find the meaning of the sign, you simply enter in what you know - its handshape, movement patterns etc. 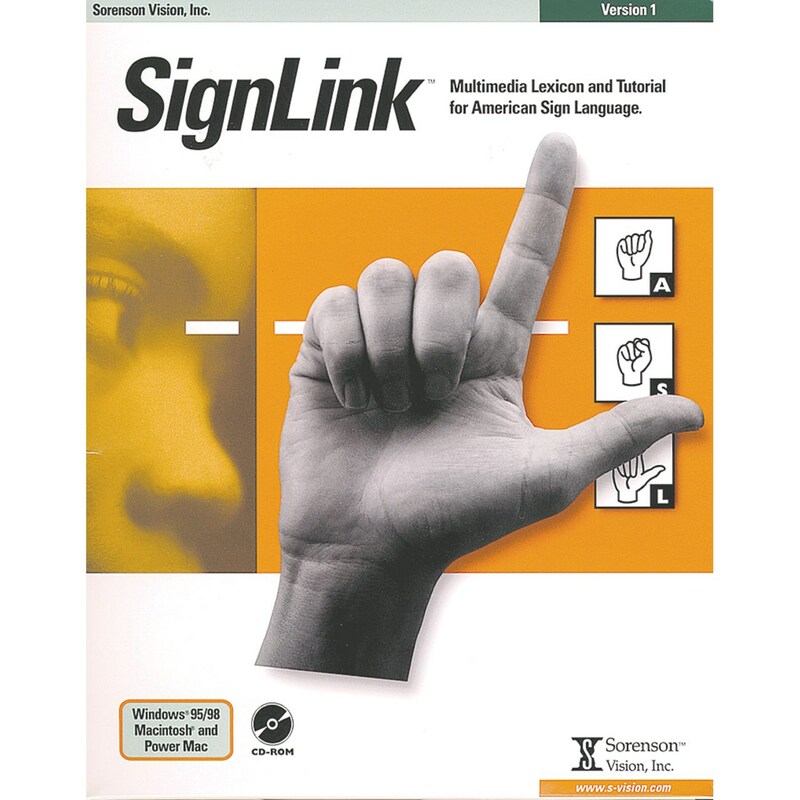 The SignLink CD-ROM includes over 1,000 high quality video clips of common ASL signs, linked to more than 2,300 English equivalents. It offers tutorials on ASL's grammar and linguistuc structure, and introductory topics on American Deaf Culture. All sign language examples modeled by Deaf signers.